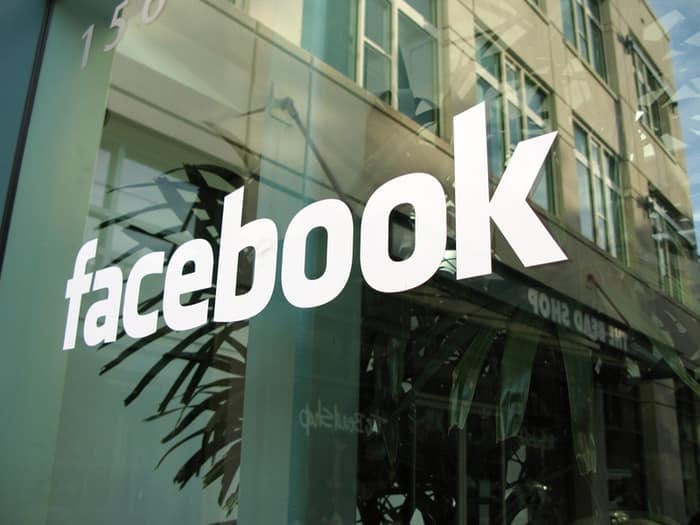 Facebook, the world largest online social networking company has more users than the number of cars on the road and planes in the sky all over the world. It’s getting clear from Facebook recent activities that the company is not restricting its operations to connecting people only. It is turning out to be a pivotal tool with many day-to-day features everybody needs. The company wants to act as a one stop resource for everything one may need in the near future. Facebook is taking heads on competition with main stream media by encouraging publishers to promote videos in the platform. It is turning out to be a better platform too for classified ad listings. You may want to find out the 5 Reasons Why Facebook Marketplace Is Better Than Craigslist. 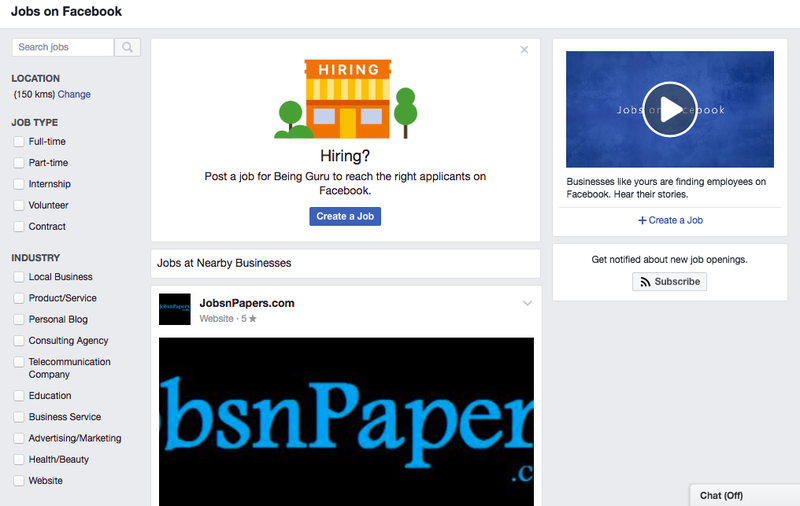 Introduced on February 15th, 2017 in US and Canada initially, Facebook Jobs section is quickly transforming as a very essential tool for job seekers looking for Permanent and contractual jobs. The service is now available all over the world. Finding your dream job is now very simple. 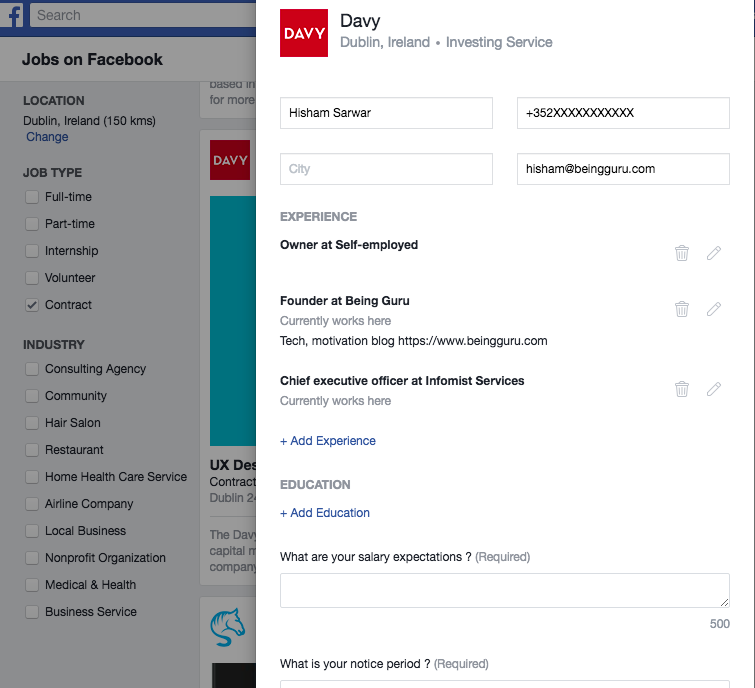 You need to be logged into your Facebook account and click on the jobs section on your left side panel if you are using web version or by clicking three lines on bottom right if you are using the mobile App. You can search for the jobs, search by location, Job type and also chose the industry you are looking for. To keep you well informed, there is a functionality to subscribe for the new job openings in your specified location and industry. By populating the preferences in the search result, you can see the list of jobs available. 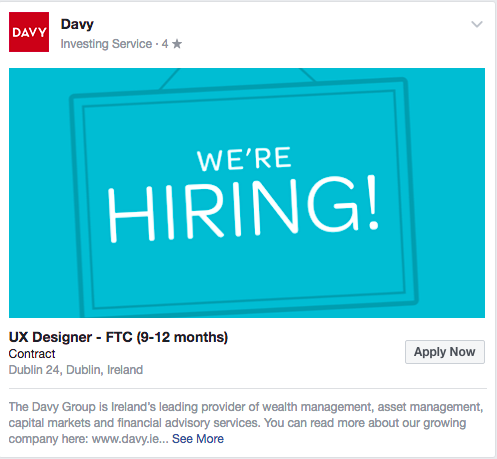 In this picture, I have chosen to search for a contractual job in Dublin, Ireland for a graphic designer. By confirming the location, you get to see all jobs from the specified location. 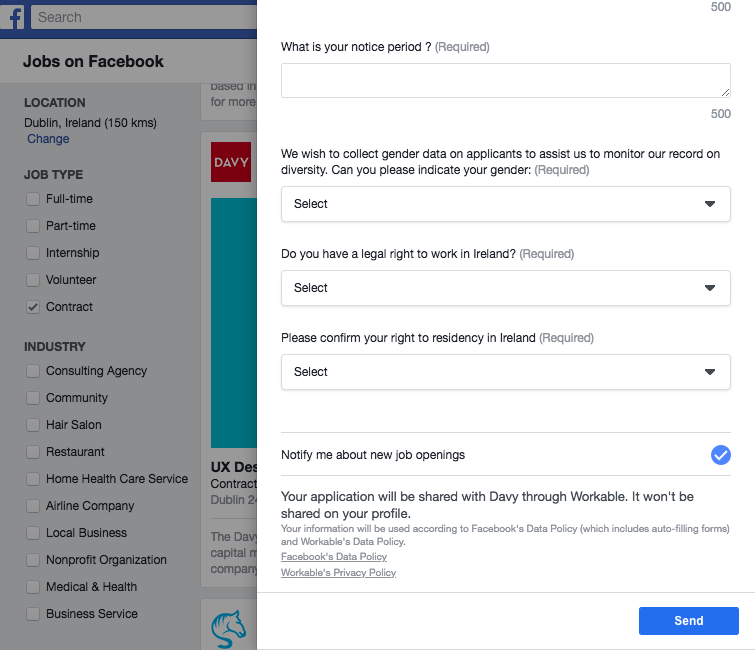 By clicking on the Apply Now button, a pop up opens which pre-populates your information from your account given to Facebook. The new dialogue box also asks for basic information such as budget expectation, your experience etc. That’s it, once applied, the form is submitted and email is sent to the company. 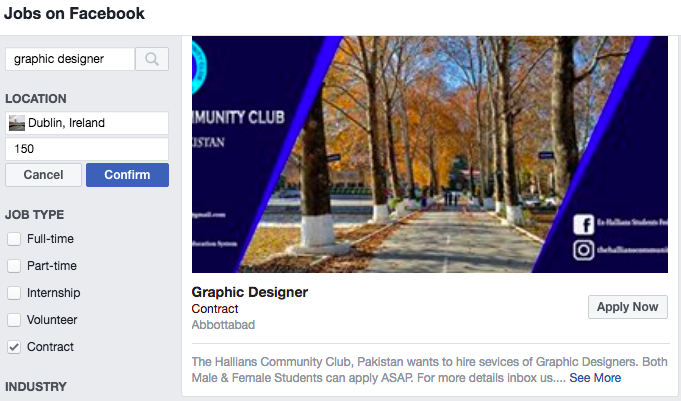 I am going to use this tool to find contractual graphic designing jobs all over the world.